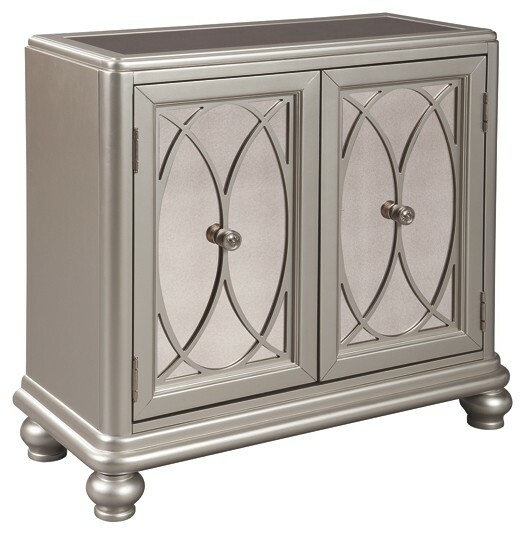 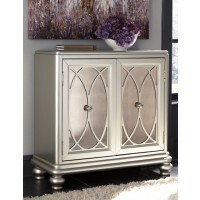 Accentuate the style positives in your home with this accent cabinet. 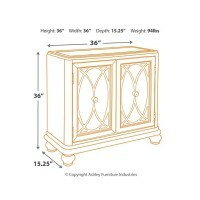 More than what meets the eye, it hides your belongings on adjustable shelving. 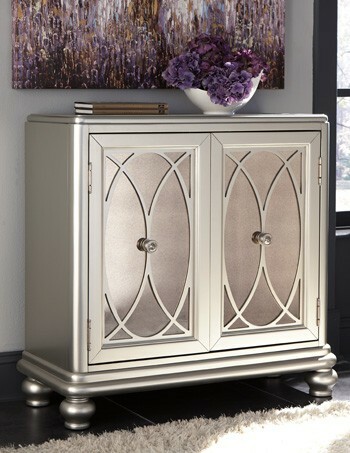 Antiqued mirror top and door panels paired with silvertone finish creates irresistible beauty. 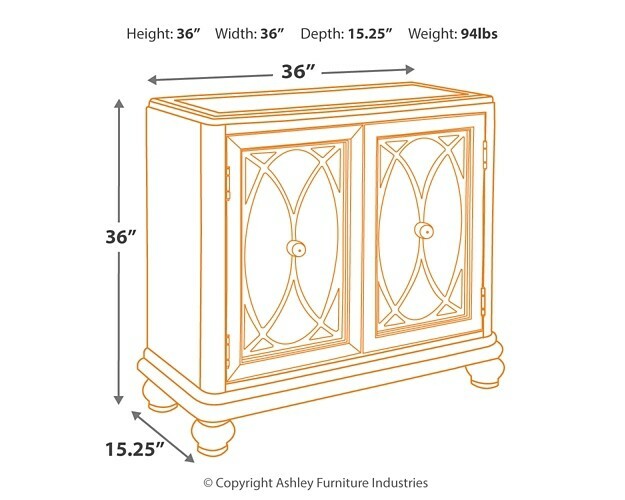 Fretwork pattern and bun feet add subtle traditional flair.